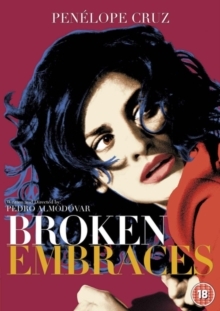 Drama from acclaimed director Pedro Almodovar, starring Penelope Cruz and Lluis Homar. Mateo Blanco (Homar) is a scriptwriter who was in a terrbile car accident 14 years ago that killed the woman he loved, Lena (Cruz), and blinded him. Since then he has gone under the name Harry Caine, choosing to forget his past and the accident, which he never talks about. One night he is required to look after his production manager Judit (Blanca Portillo)’s son Diego (Tamar Novas), after he hurts himself. During the time they spend together until Judit returns, Diego asks about when Harry was called Mateo and so Harry decides to tell the boy the story of his painful past, presenting it as fiction in an attempt to keep Diego entertained. Through his recollections we discover the intense and complex relationships that existed between Mateo, Lena, Judit and Ernesto Martel (Jose Luis Gomez).